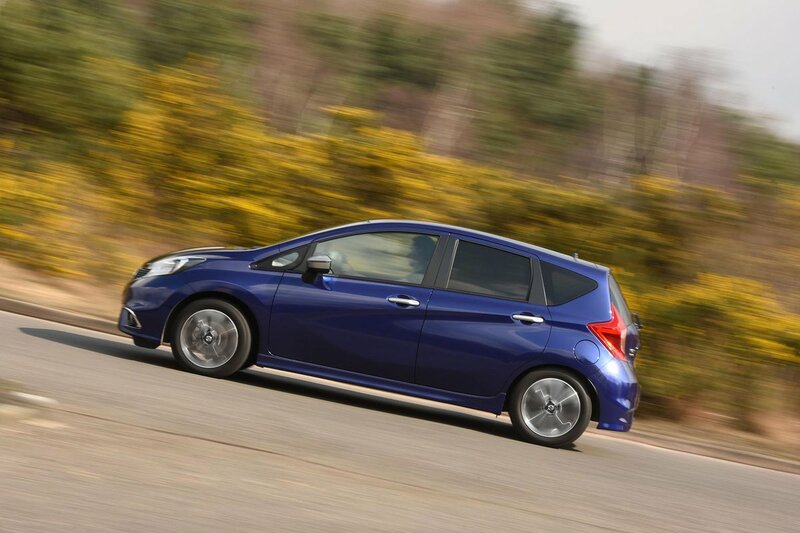 Nissan Note Performance, Engine, Ride, Handling | What Car? The entry-level three-cylinder 1.2-litre petrol unit is surprisingly lively given its meagre power but although it’s fine once up to speed, it struggles a bit when the car’s fully loaded. The supercharged 1.2 DiG-S petrol is stronger but still has to be worked quite hard to make decent progress. The 1.5 diesel’s extra torque is useful, and it pulls well if you keep it in its sweet spot, which sits lower down the rev range than the petrol engines’. It quickly runs out of puff at high revs, but it happily keeps up with traffic on the motorway. 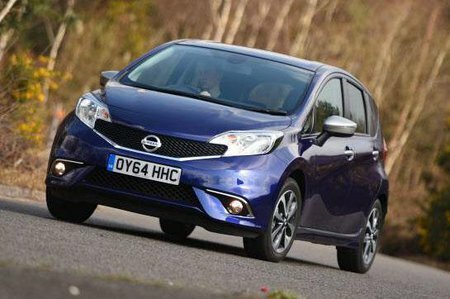 Low-mileage drivers will be best off with the higher powered petrol engine. Those who regularly drive with a full load on the motorway, or who cover high mileages (over 15,000 miles a year), should plump for the diesel. The Note’s suspension has a firm edge, which mean the car can shimmy noticeably over drain covers and rough roads at low speed. Generally, though, the ride is reasonably comfortable and improves noticeably at motorway speeds. Body control is acceptable but the Note has a comparatively tall and narrow body, so inevitably there’s some sway in crosswinds, and pitching on rolling country roads. Entry-level versions ride on smaller, 15in wheels which help smooth out the ride a little. All others ride on 16s which contribute to a slightly firmer ride. The Note is hardly fun but its steering feels natural, consistently weighted and precise. It’s also light enough around town to allow for easy manoeuvring. This isn’t a car for B-road blasts. The Note’s tall body leans in corners, and grip is modest. On the motorway, it is a little bouncy and prone to side-winds, but it feels stable for what is quite a small car. You can feel vibrations through the steering wheel and pedals in the diesel model. The engine is also noisy around town, although it is hushed on the motorway. The supercharged petrol model is quieter, with a lot less grumbly engine noise at low speeds. The lower powered, naturally aspirated petrol is quiet enough when it’s not being worked hard, but often sounds boomy in the cabin. Wind noise isn’t a problem but road noise is, especially in the back seats – not ideal for a family car. A five-speed manual gearbox is standard. It hasn’t the most precise shift, but it’s better than the automatic option available exclusively on the supercharged petrol. This is a constantly variable transmission (CVT) that sends the revs flaring noisily when you want to accelerate briskly.